Let’s give a warm welcome to Kathy Logan. She is the author of The Ruby Brooch, a historical time-traveling novel. 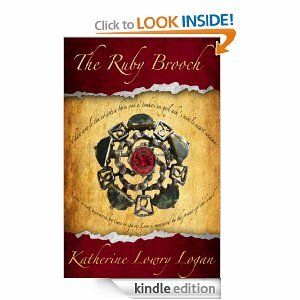 Katherine is a distance runner and an avid reader who turned her love of reading into a passion for writing and has completed a sweeping time-travel romance The Ruby Brooch, Book 1 in the Celtic Brooch Trilogy. She is currently working on a contemporary story with a spin off character who demanded his story be told before she completed the other two planned time travels. A graduate of Rowan University in New Jersey, she earned a BA in Psychology a minor in Criminal Justice. Following graduation, Katherine attended the Philadelphia Institute for Paralegal Training earning a General Practice Certification. 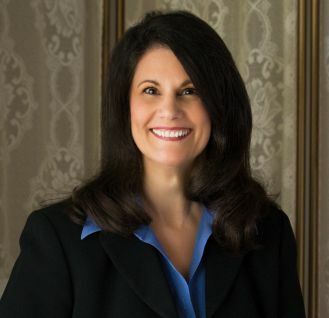 She returned to Central Kentucky and worked for twenty years as paralegal. She currently resides in Lexington and writes full time. In a sentence or two, please tell us why readers should read your novel. The Ruby Broochhas an entertaining allure with amazing, non- cardboard characters, great storytelling, and constant action that will keep the reader riding an emotional roller-coaster while either laughing or crying. 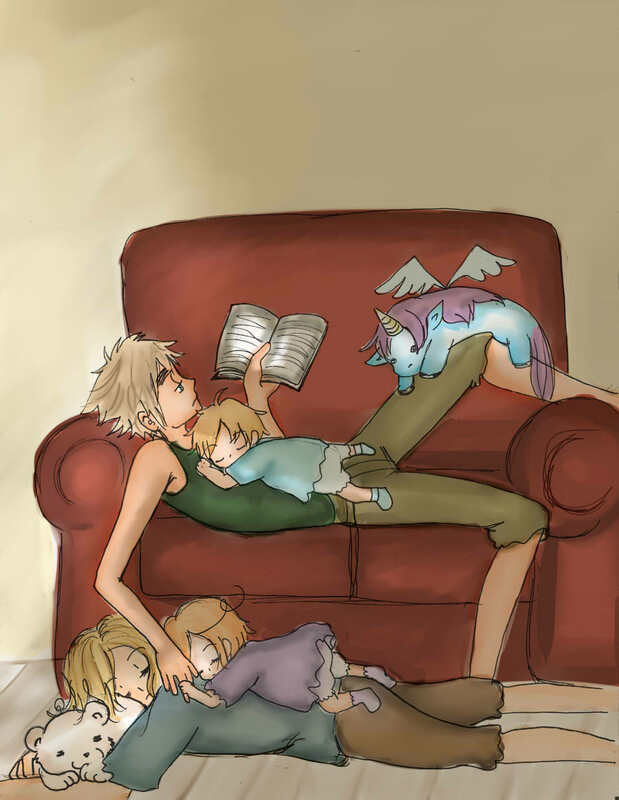 Who do you imagine as the reader of your novel? I’m going to answer with a line from the book. “People like me.” I’m a 62 year old widow and grandmother training for my first marathon. I’m very focused on nutrition, health and fitness. I’m a full-time writer, dating a fantastic man I met on Match.com, and I’m also my ailing mother’s full-time caregiver. In short, a woman who takes care of others, has two full time jobs, is in a relationship, and runs for exercise and health. I believe that as busy women, we all want a few hours to ourselves to escape from our own worries and concerns and live vicariously through someone else’s troubles with a guaranteed happy ending. I think we’re looking to connect with a strong woman who’s been dealt a bad hand and has the gumption to play it out even though she’s scared to death, and in the midst of her fear, finds her true self. I believe those types of women exist in all genres from time- travels to vampires to regencies. It’s the journey, not necessarily the road. As a reader and as a woman, we want that journey to resonate and in a small way learn something that will make our life fuller and more productive. How does Celtic mysticism play into The Ruby Brooch? I’ll share a couple of snippets that aren’t spoilers. Later, when she meets the hero they have this exchange. The racing challenge died on the balmy breeze blowing in from the river as they strolled down the rickety sidewalk in silence. By the time they reached the end, the western sky had turned lavender with approaching dusk. “That must be why ghosts sometimes appear at twilight?” Her eyes were as dark and full of mystery as they had been when he first met her. They are interrupted at that point, but Cullen’s childhood vision is very much a part of the story, intertwining the past and present and future, as are Kit’s sightings of Cullen as a ghost that began when she turned 10. I read dozens of journals written during the Great Migration, a time in our country’s history when women had small voices but indomitable spirits. I talked to experts on topics from carbon dating to rattlesnake bites. I read extensively about the suffragettes; the thoroughbred industry (breeding and racing); genealogy, paramedics; and 19th century legal education, property rights, wines, medicine, childbirth, cooking, oxen, cholera, and dozens of other topics. And, most importantly, I drove the Oregon Trail from Independence, MO, to Portland OR, following mile markers and wagon ruts and talked to people about the land and their family histories. Research, I think, is my favorite part of writing. What was one of the most interesting data that you stumbled upon? The store fell silent. A couple dozen men stared at me like I was crazy. I cleared my throat and explained that I was a romance writer and that my heroine was caught in the middle of a buffalo stampede and needed a weapon. The shock wore off and answers started flying. I still laugh when I think of that visit. Was there a scene that you absolutely had to have in the book? I fought (well, disagreed) with editors, dozens of contest judges, and critique partners who nixed the opening of the story. I wanted to show the heroine galloping across the pasture on her thoroughbred. The scene was vividly implanted in my head, and I refused to let it go. Finally, after taking on-line classes, reading, and studying the craft of writing, I slowly began to understand what everyone had tried to tell me. Riding her horse was not where the story action started. It was disappointing to let the scene go, but ultimately I knew it was the right thing to do. There is a scene about half way through that story that couldn’t be left out. It’s a conversation between the hero and heroine about wearing all sorts of masks to hide who we really are. He asks her who she is down deep inside where no one goes. It was a hard scene to write but one that had to be included. Gil Grissom of CSI: Las Vegas or Jethro Gibbs from NCIS? That one is easy. Jethro is Elliott Fraser, Kit’s godfather. Captain America – a fish out of water. If you could be a god/goddess, which one would you be? Thank you so much for stopping by and doing the interview. Kathy has kindly offered to giveaway an e-book of her novel but first the blurb. And the day came when the risk to remain tight in a bud was more painful than the risk it took to blossom. ~Anaïs NinCan a 21st century paramedic find her heart’s desire on the other side of time? From the white-plank fenced pastures of Lexington, Kentucky, to the beautiful Bay of San Francisco, The Ruby Brooch, a saga steeped in family tradition and mystery, follows a young woman’s journey as she searches for the truth on the other side of the heather-scented mist.As the lone survivor of a car crash that killed her parents, paramedic Kit MacKlenna makes a startling discovery that further alters her life. A faded letter and a well-worn journal reveal that she was abandoned as a baby and the only clues to her identity are a blood-splattered shawl, a locket that bears a portrait of a nineteenth-century man, and a Celtic brooch with mystical powers. After studying the journal, she decides to continue her father’s twenty-year search for her identity and solve her birth parents’ murders. For safety reasons, she adopts the persona of the Widow MacKlenna. Although a perfect cover for her eccentric behavior, she will be forced to lie and MacKlennas don’t lie, or so she thought. Finally, dressed and packed, she utters the incantation inscribed on the ancient stone and is swept back to Independence, Missouri, in the year 1852. Upon arriving in the past, she meets Cullen Montgomery, an egotistical Scotsman with a penchant for seducing widows. The San Francisco-bound lawyer happens to resemble the ghost who has haunted Kit since childhood. She quickly finds the Bach-humming, Shakespeare-quoting man to be over-bearing and his intolerance for liars threatens her quest. If she can survive his accusations and resist his tempting embrace for seventy-three days, she might be able to find the answers she seeks, and return home to a new life without changing history or leaving her heart on the other side of time. Giveaway Time (International): Winner can win an e-book copy of The Ruby Brooch. Mandatory Entry: Answer this question; what time period would you like to visit? And leave your e-mail. Giveaway ends on June 18 at 11:59 PM, midnight. That’s it. Good luck to all of you. The Ruby Brooch can be bought at Amazon. Salem’s always had sinister secrets. No one comes to understand this better than a sixteen-year-old girl who dies on Halloween night and is reborn a Seer. Locke Cavanaugh is a Druid and part of the Order, a clandestine organization entrusted with keeping its members cloaked in the Ordinary world. Physically scarred from the accident that took his girlfriend’s life, Locke is searching for the OtherWorldly magic that damaged him because only those without blemish can rule the Order. And once at the helm of the Order, he has every intention of finding those responsible for her death. I totally love this book even though I had to re-read certain scenes to understand what was going on. Especially in the beginning. That being said, it was a really great read. I usually do characters first because there is a necessity in knowing who drives the story forward but the most important thing about this novel (at least for me) was the mythology. Did I learn a lot about Celtic mythology and then some. One of the shocking factors for me was the use of the witch bottle. Witch bottles are created by people who want to drive away a witch that is afflicting them and it basically causes the witch pain until the spell is taken away but I had no idea that a witch bottle could be used as a love spell. What the hell, that is totally new to me. The witches bottle become a very important part of this novel. The Celtic mythology consisted of hellhounds, banshees, druids, seers, leprechaun, fairies, boggarts, Boudicca, and learning stories about the goddess Fir (resembles mother nature) and multiple other deities. Plus, we have three Wyrd Sisters ( Maiden, Mother, Crone). It was fascinating to read the stories and see the Gaelic names of mythological creatures. I love the inclusion of Cerunnos. Really funny situation about his horns being stolen. Now let’s talk characters. At first, I was really annoyed with all the characters because they were all very concerned with physical appearances. The Seer who died and records events; when she dies, she is more concerned about throwing up on her dress than being dead. Although, she did admit she was vain enough to say that so she was okay. We have Keleigh who has this enchanted necklace that hides what I will is her true beauty. She promised her mother that she wouldn’t take it off ever and constantly shies away from her own beauty. There is Locke who is physically scarred by the accident that killed the Seer. He tries to get Keleigh to take off the necklace and she reminds him of his scars. There was so much emphasis in the first 20 pages about physical appearances that it irked me. However, at the end of the day, it was interesting to see the characters move beyond this stage and watch them mature. The vanity of appearance play a real strong role in the final battle and is really insightful. What appears to be annoying characteristic is actually an in-depth look. The scars that Locke has are important for a reason.I really liked how the Seer eloquently put things in perspective as well as Madi (who is Keleigh’s best friend). Funniest character ever. The romance between Keleigh and Locke slowly developed. Keleigh was the one denying the attraction because she didn’t accept her ExtraOrdinary powers and just wanted to be Ordinary (without powers). All of a sudden she is drag into the world she has been vehemently trying to avoid. It forces her to see what she is, the daughter of a prophetess and someone who has power in her own right. The love triangle between Locke, Keleigh, and Lynx for me fell a little flat on Lynx’s side simply because Keleigh wasn’t really into him. She was constantly moving away from his touches even though they were in open relationship. It was much interesting to read the blossoming relationship between Locked and Keleigh. Marx did an excellent job in creating a world that is infused with mythology. We have Ordinary, regular people without powers, and ExtraOrdinary, people with powers. Leylines run all over Salem which act power sources for Extraordinary. Colloquy of Elders that keeps the existence of the ExtraOrdinaries a secret. ShiningOnes which apparently as not as nice as their name sounds. The OtherWorld which is a parallel world where mythology’s creature live. I know, it seems like a lot to take in (and it is) but I swear, it only adds to the experience of reading the book. All the “societies” are distinct from each other so it’s not hard to keep track of. In the end, I’m giving it 4.5 butterflies. Fantastic use of mythology and great world-building skills. The characters are funny and grow in the course of the book. The love triangle didn’t work for me but it was somewhat nice. I’m looking forward to reading the second books because there are some unanswered questions that need to be resolve. Plus, I want to see Keleigh come into full acceptance of her powers and see what she can do. Elizabeth has kindly offered to give away an e-book copy of this book to a lucky commenter. Extra Entries: Be a follower of this blog through e-mail, Twitter or Goodreads. If you are not a follower, that’s okay because an extra point can be garner by answering a simple question, who is your favorite goddess? After you like the Seer on Facebook, leave a comment here with your Facebook name (this is the mandatory entry) and if you follow me, tell me which way. And answer the question if you want to. Thank you Elizabeth for providing a copy of her book and for the giveaway. Good luck to everyone! And don’t forget to enter my Random Acts of Kindness Giveaway as well.